Maybe several coats of pretty pastel Sherwin-Williams paint could spruce up the fifty something sports car course and campground, but as for the racing this weekend don’t count on much to look at. 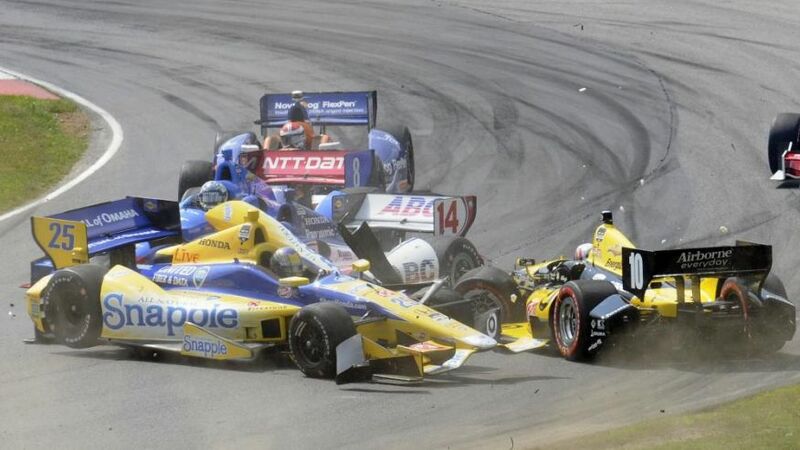 We at IRR can’t remember the last remotely watchable race at Mid-Ohio and although we’ve been fooled once this season by the racing on a road course unfortunately it’s highly unlikely Sunday. 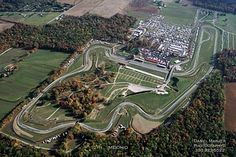 The track’s simply unsuitable for IndyCars and if they want fans squealing with delight then the series really ought to find a better place to camp next season. Anticipating abject and unrelenting tedium in the woods we’ll be Live Tweeting the “event” in the hopes of adding some spice and maybe even a touch of camp. Those noisy IndyCars at rustic Mid-Ohio – it’s all just a bit too manly for our tastes. 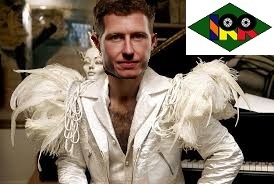 Our special prediction for the race involves the campers at Mid-Ohio, or rather a large contingent of “glampers” invading the track this weekend. Largely city boys out for a thrill, there’ll be some spontaneous weddings break out on the lovely, wooded hillsides where methanol fumes magically intermingle with wispy campfire smoke. Sometimes and especially this year IndyCar needs a feminine touch – and the glampers won’t disappoint. Our prediction for pole sitter – such a deliciously descriptive term, isn’t it? – started second last year and has been hotter than a gay pride parade ever since. 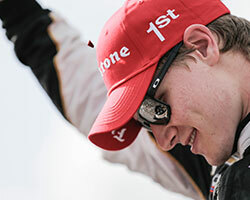 CFH’s Josef Newgarden – an attractive young man in great shape and with even better hair – has given Americans of all orientations someone to lustily cheer for in 2015. He’s just so cute!